Well, over my way it’s situation normal. I’ve adopted the standard position of reclining on the couch with a heated wheat bag on my aching neck. Next to me is a good mixture of medicine, with Valium being the pill of choice, plus of course, the Tour de France being broadcast in glorious High Definition. Oh yeah, I’m dabbling in this blog as well during all this, but I’m struggling a little not being able to tackle any sort of substantial walk. Actually, the last blog entry I did whilst zonked on morphine was a complete joke and I’ve come to the conclusion it’s the most disappointing medicine prescribed to me lately. Maybe I was given a bad batch, but I expected to float off my couch into some sort of pain free nirvana surrounded by smiling people dressed in white, sitting on fluffy clouds. Instead, all it did was make me feel like I’d been slapped repeatedly across the face and once on the back of the head for good measure by an oversized Halibut. How do people get addicted to Morphine? I gave it my best shot, but it didn’t work for me, so I might as well go out in the middle of the night to the local lane-way and sell them off. Also, do you know what? Things are getting bad when I couldn’t locate a coaster to put on the arm of the couch for my regular cup of tea. Solution? Don’t even wonder why, but there happened to be a pair of underpants next to me and I’m currently using them as a coaster for my tea cup. Drink coaster pants might not take off, but don’t discount their effectiveness. Just like the saying goes, ‘tough times don’t last, but tough underpants do’. Now, after all of that waffle, you’re probably wondering why there’s a painting at the top of this entry. Well, let me tell you. 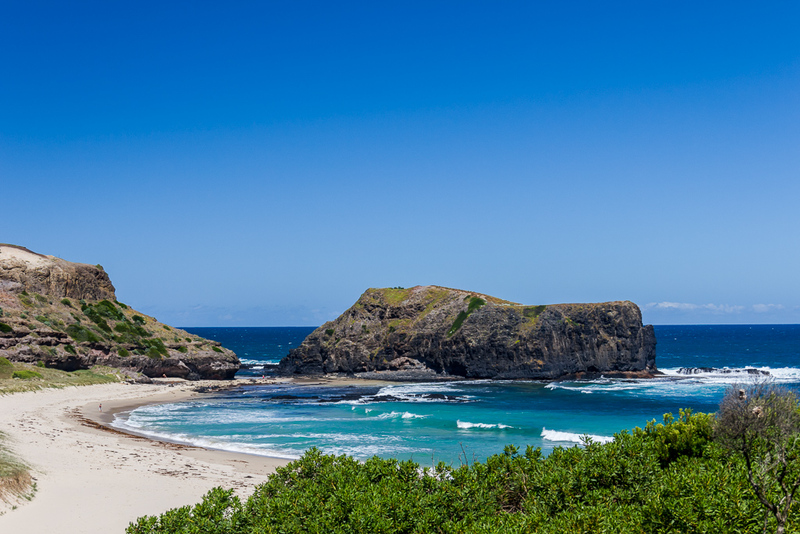 A few months back I was in the process of writing up a blog entry of my walk to Bushrangers Bay. The problem I had was there’s a large rock that stands just off the beach and I knew it had a name, but do you think I could remember it? After a bit of online surfing my searching led to this blog entry by an artist from Flinders, Jacquelyn Stephens. Guess what? Within this blog entry was the name I needed. It’s called Elephant Rock! My god it took ages and in the end it took an art blog to finally come up with the name required, just so I could finish my entry. Anyway, I began to peruse her blog and look at her art. 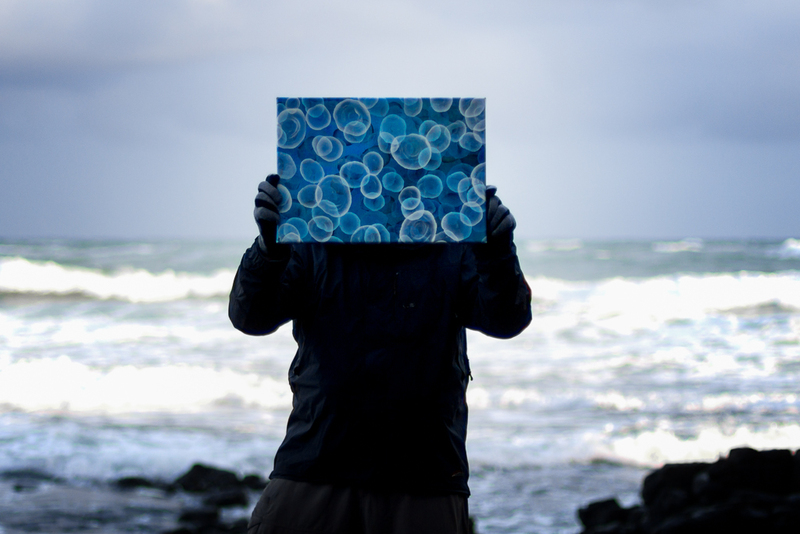 I enjoy abstract art, which I find quite cathartic, especially if it’s in a combination of various shades of blue. My favourite colour in the world is powder blue and I feel a little light-headed if I see anything in that colour, which probably explains why the only milk shake flavour I’ll ever have is ‘blue heaven’. Now, I know people who see abstract art and come up with the standard phrase, “That’s crap. What’s so special about that? I could paint that.” My standard answer to this all too common comment is, “You didn’t, so you couldn’t”. This usually leaves the other person with a blank look on their face. 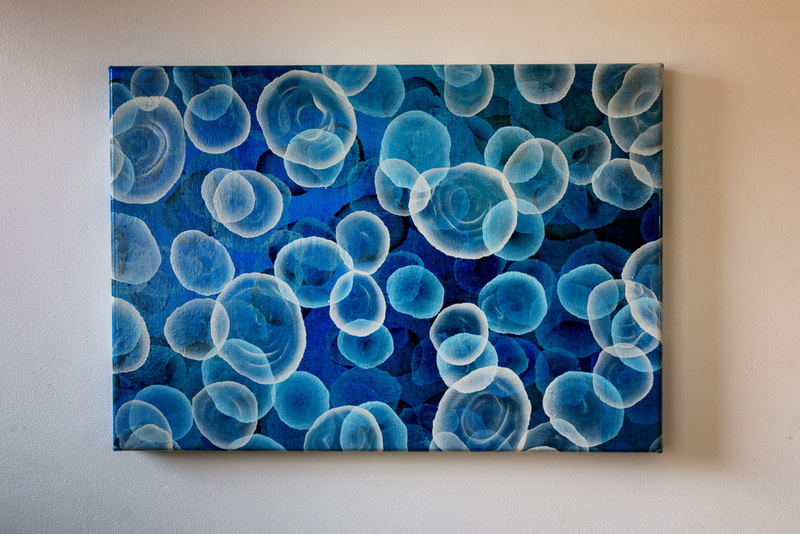 After perusing Jacquelyn Stephens art for a while I noticed the picture ‘Aqueous Pulse 1’ listed for sale. It fitted the ‘lots of blue’ cathartic feel I like, so I thought I should buy it. Once the decision was made, I visited her to complete the purchase. There you go. I suppose you want me to start writing about some sort of walking activity? Right now though, rambling is the best I’ve got until my neck improves. The bonus is I have a neurosurgeon appointment on Monday. It’s reached the point now that if the doctor doesn’t give me some decent answers about fixing this infernal pain, I’ll remind him I’ve been short of a tobacco pouch for quite some time and the removal of his testicles will definitely be on the cards. Anyway, it’s been a chilly in Melbourne lately and the other day I saw a weather forecast informing an Antarctic blast was on it’s way, bringing with it big seas and freezing temperatures. There’s only one thing to do when confronted with a gnarly forecast and it’s quite obvious. Yep, go to the beach and what better place to attend than Flinders, which is the origin of Jacquelyn Stephens. See? I’ve tied in the whole painting purchase with a coastal wander. I’ve always had a common theme regarding lousy weather. If there’s a crap forecast, you’ll find me outside, as I think it’s a bit dull to go and hide indoors. I wish I could tackle a proper hike in this bracing weather. 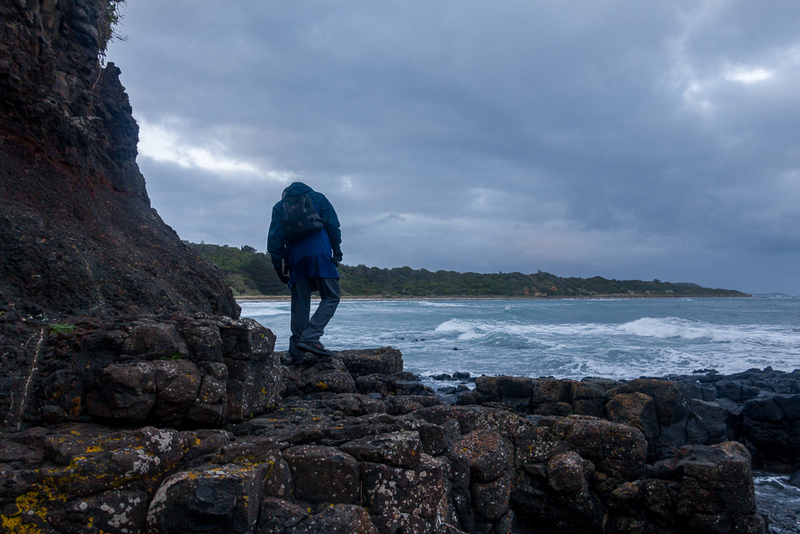 In the end, I dragged my son Ben with me and we arrived at Flinders Beach in the early afternoon. 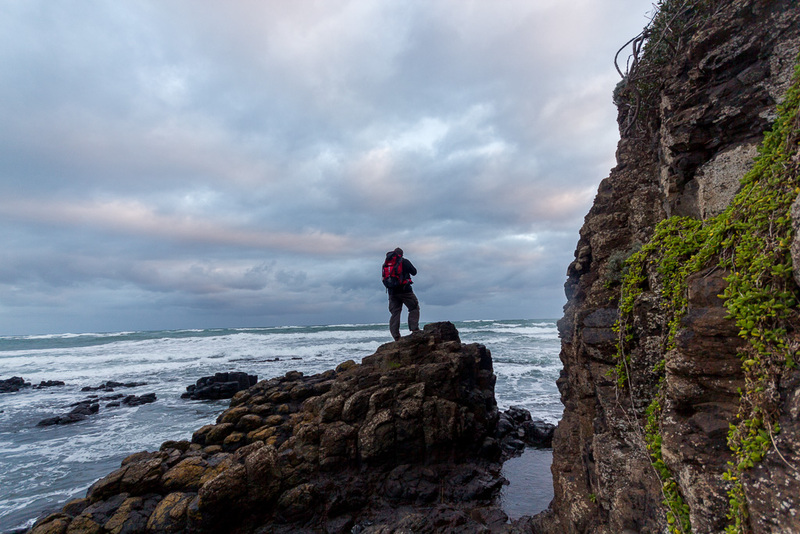 Instead of heading in the direction of our previous walk, which was towards West Head and the side-trip to ‘Aladdin’s Balls’, we decided to head in the opposite direction to take in the winter view on a number of rocky outcrops. 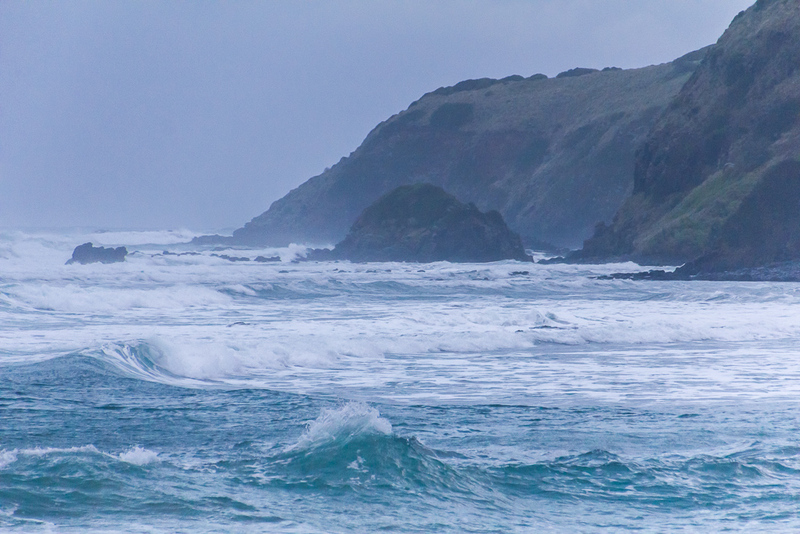 Considering the forecast, the weather wasn’t too bad, which was disappointing as I was hoping for some certified ‘arse kicking’ waves for photographic purposes. 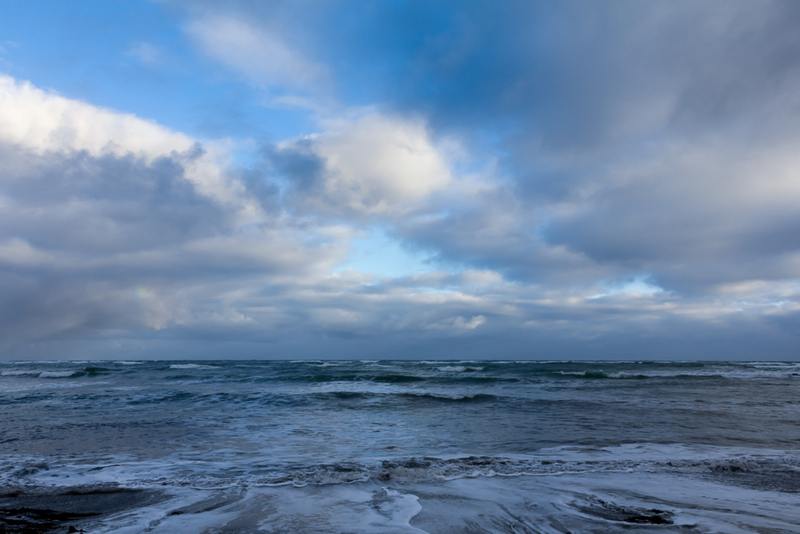 Well, we had waves, but they weren’t setting the world on fire, but at least there was a bit of a manly, southerly wind chill keeping us a little honest. On our last visit the tide was pretty low, but on this occasion it was the complete opposite. Walking was tricky, as the water edge can get quite high with minimal beach left to walk on. The light was dim and average, which was a photographic killer, so it made for some plain looking snaps. Oh well, this is the best you’re going to get and it was a time to forget the landscape shots and look for detail in the surroundings to keep us entertained. 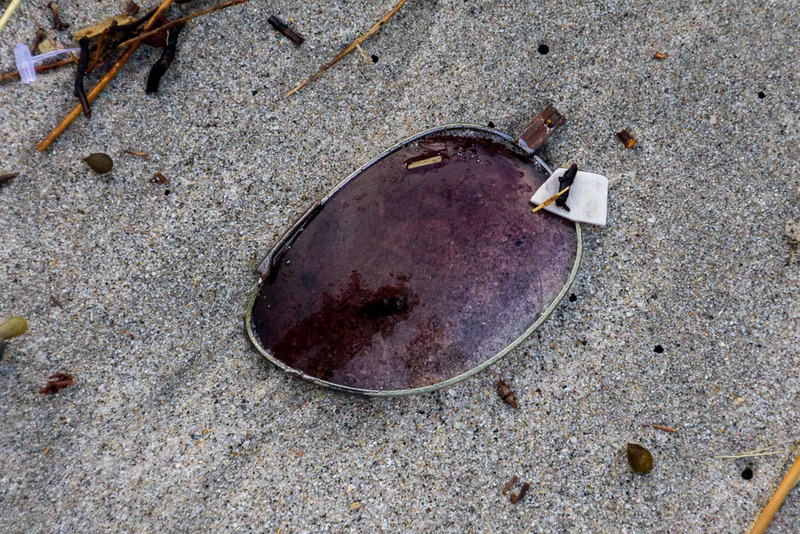 First of all I found a lens from some sunglasses, which looked quite modern, so I’m positive they’re not from Harold Holt’s. 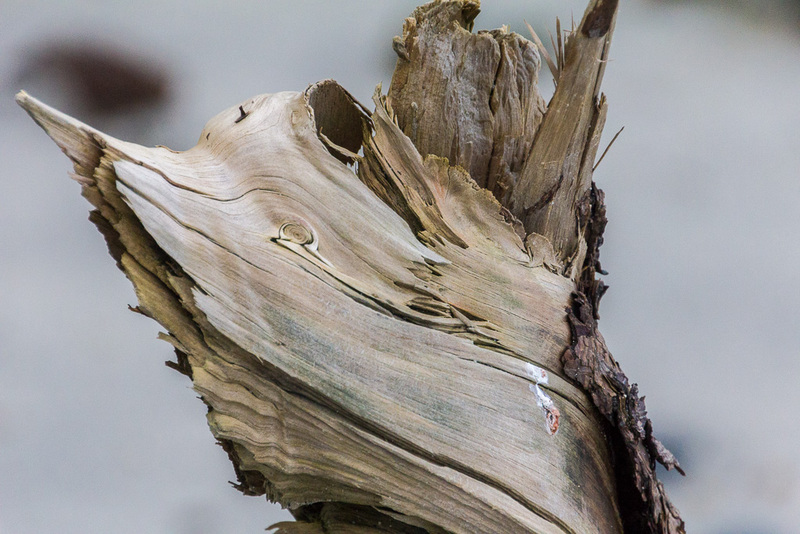 Some of the other ‘highlights’ were ocean weathered pieces of wood on the beach. I’m a sucker for nice looking wood grain and I’m always on the lookout for stuff like this. What’s even better is there was some pine cone action going on as well. 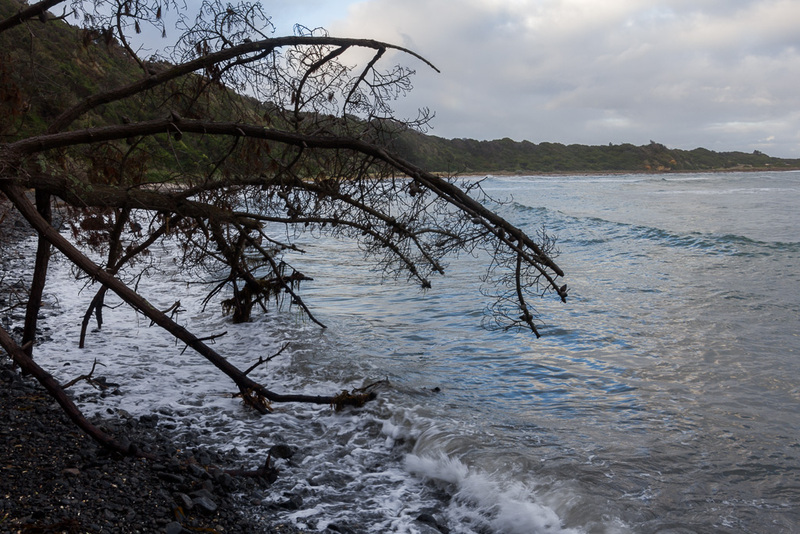 Flinders Beach does get some rough weather at times and these must have come down from an adjoining hillside. 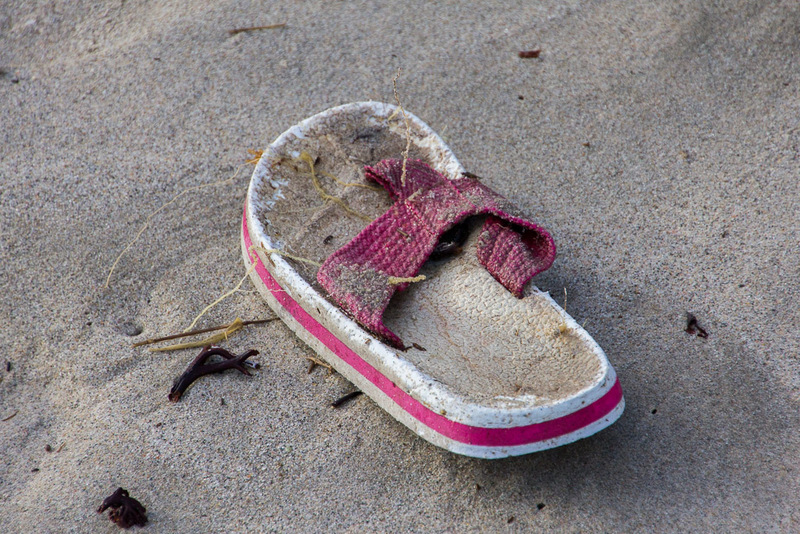 I’ve written before that on 99.9% of beach walks I’ll come across a shoe. Well, of course this day wasn’t going to disappoint and although what I found was a thong, I’m still confidently proclaiming it as a ‘shoe’. On the way we noticed quite a few dead penguins on the beach as well. The penguin colonies of Phillip Island aren’t far away and I always feel sorry for the little blighters who have to deal with their struggles of survival. 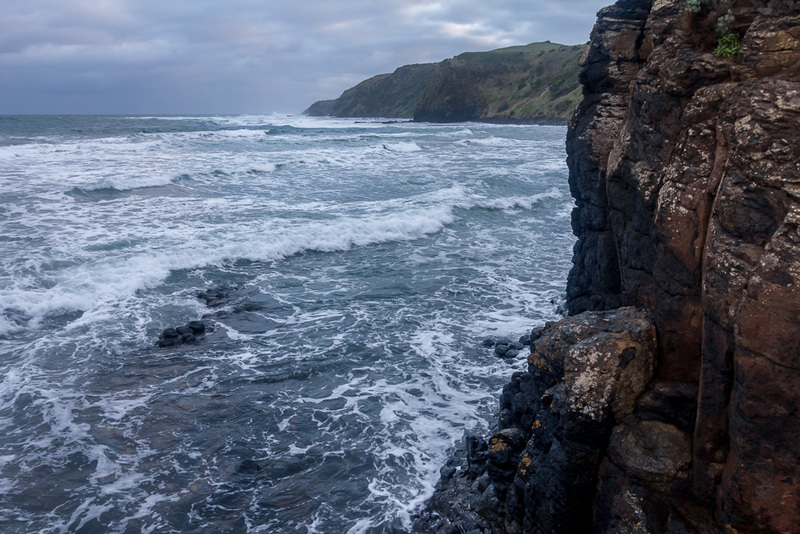 I don’t think I’ve ever walked this section of Flinders Beach in the past and not seen a number of dead penguins. 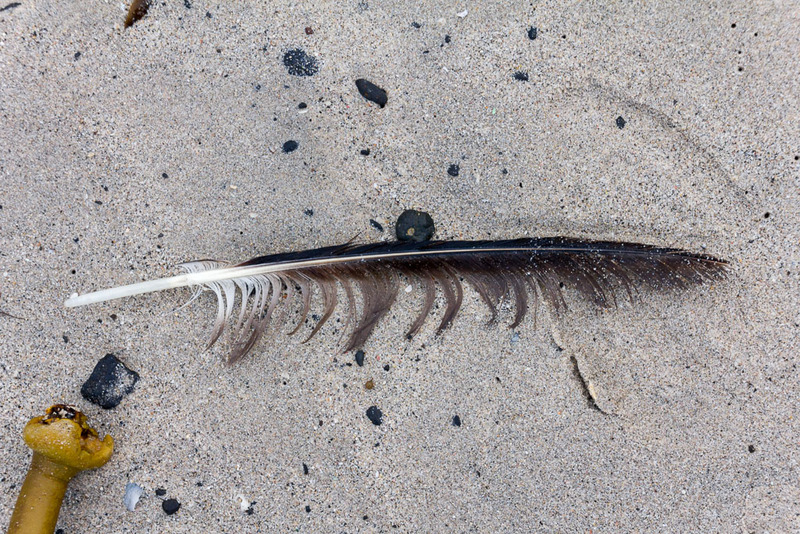 I won’t give you dead animal photos, as I’m sure you’ll know what they look like, but I can give you a feather shot. It wasn’t the most glorious of feathers, but it was something at least! 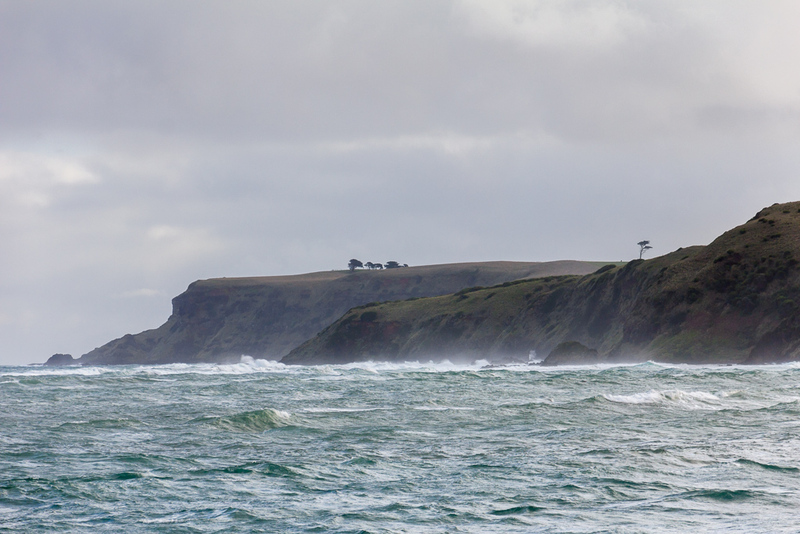 We were now approaching a small headland where the water reached up to the rocks, which prevented us from walking any further, unless we decided to get soaking wet from the relentless waves rolling in. 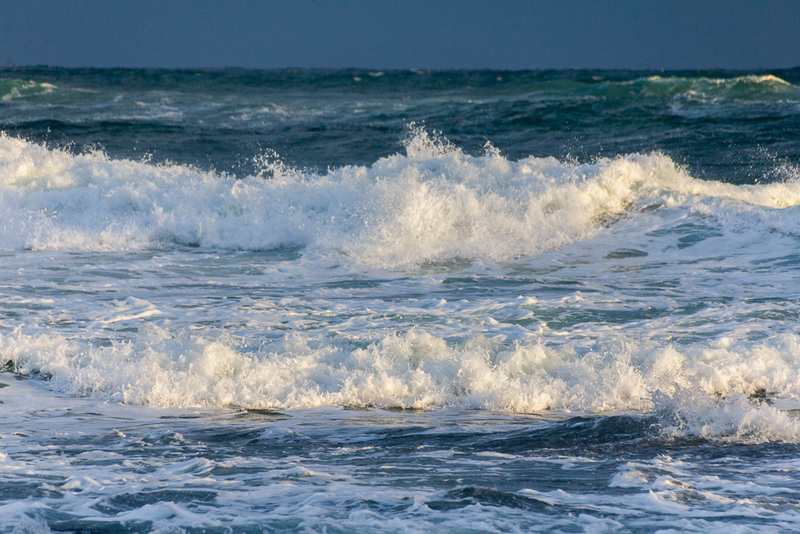 The weather remained bleak, but at times the sun appeared for brief moments, which gave a nice reflection on the breaking waves. The brief sunshine meant I had to snap the photos pretty quickly and whilst doing this I noticed some surfers bobbing in the water. 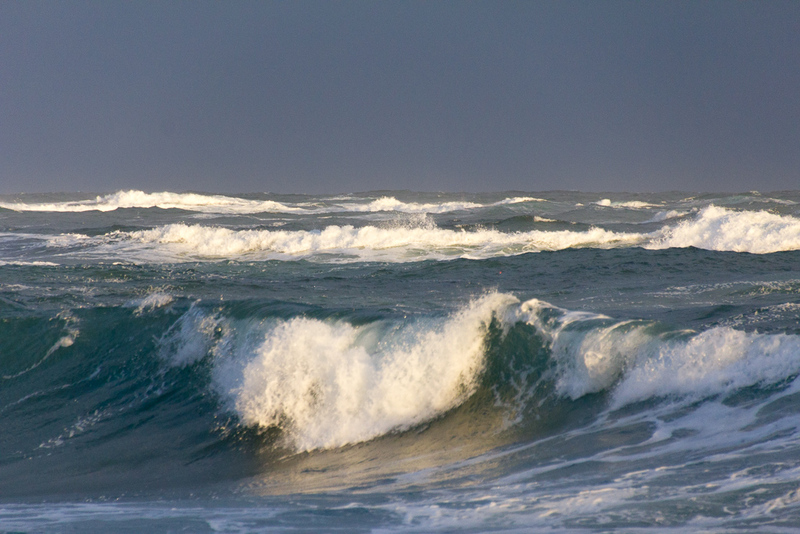 They were obviously very keen to be out in the winter ocean that was full of choppy waves. There didn’t seem to be much on offer to catch, but they did manage to ride a few and I can’t believe how many photos I took trying to capture them in action. Every time I lifted my camera up they were either on their boards floating around waiting for sparse waves or if they’d got up, they were falling off pretty quickly. I now have a stack of photos of arms and legs going everywhere and nothing remotely stunning to show what was going on. The following two pictures are the best I could come up with. He’s heading for the green room! Almost. He’s upright, which is the main thing. 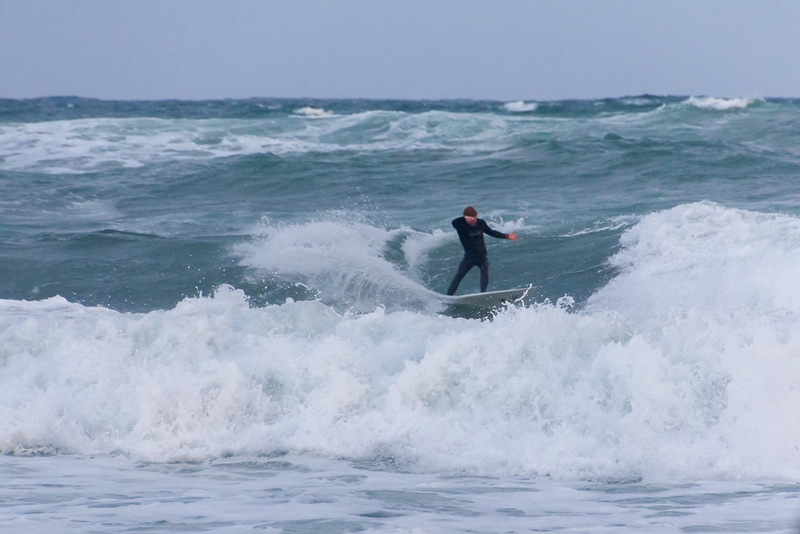 Good luck to them though for getting out in the chilly conditions to try and catch a wave. There was still the odd occasion of sun to keep us from totally abandoning the photo taking concept. 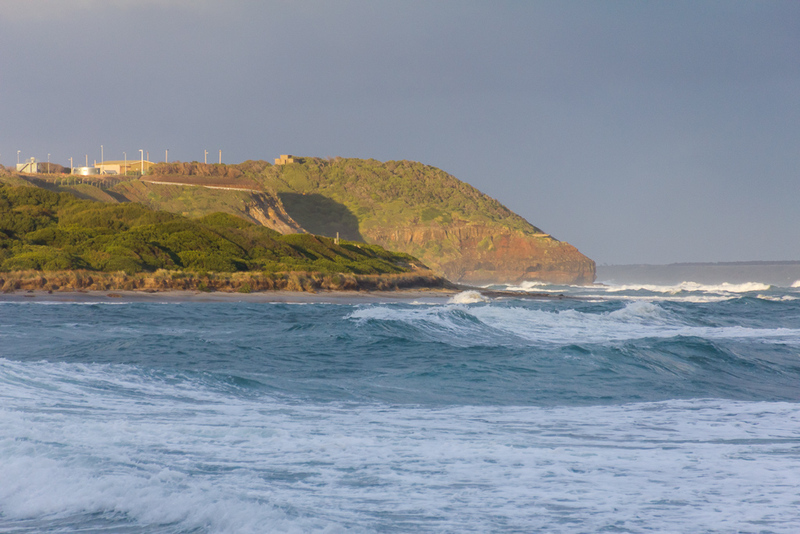 As I looked around the corner of the headland we made the decision to stop for the day, as there was no way I was going to be getting wet. The following photo shows the way ahead if we’d bothered. Not much dry walking here. So, it was time to sit down and have a brew. A chai-latte was on the cards, whilst sitting back resting and spending some time watching the winter waves, surfers and Aqueous Pulse 1. Sorry? Did you say Aqueous Pulse 1? Oh yeah, I forgot, but we had it with us. In fact the brilliant blues and whites of the picture fitted perfectly with the atmosphere of the moment. I love a wintry day by the beach with the bitter southerly wind biting the skin and to sit back with a hot drink was perfect. Here we are relaxing, whilst appreciating nature and some lovely art by our side at the same time. I guess in a few previous blog entries I’ve mentioned how I’m the only bloke of semi-European heritage who can’t grow a beard. 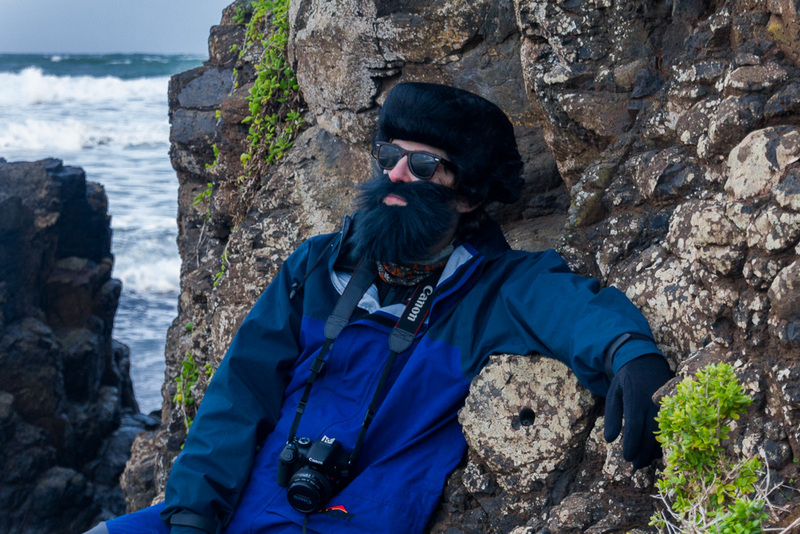 After doing a bit of hiking I’ve noticed the beards getting out and about in the hills seem to be part of the standard hikers uniform. I may have been leading you on a little, as the picture below shows I can actually grow a very full beard. What I find interesting about genetics is my 16 year old son, Ben. Even at his age he can also grow a beard, which matches mine exactly, not to mention the full head of hair. It’s quite uncanny how similar we look and if it wasn’t so real you may accuse us of some sort of trickery. An amazing similarity to me. A bit of bad weather began to blow in bringing showers, so it meant our relaxation time was coming to an end and we’d have to start packing up for the day. I guess it was a short walk, but there were plenty of things to keep us occupied and it was thoroughly worthwhile to be outside, instead of hiding inside which the weather forecast was telling us to do. 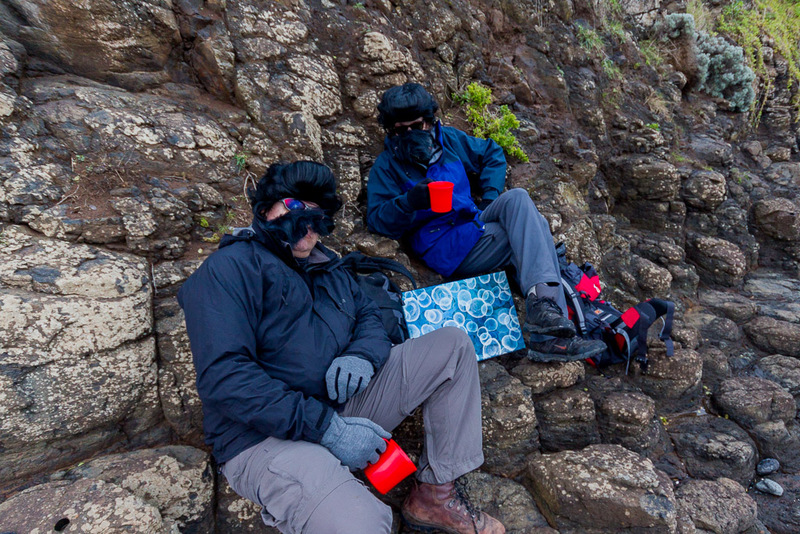 The strengthening southerly wind did make it a little difficult to finish our drinks, as our beards started to move around on our faces in the breeze. I guess all relaxing things must end at some point, so we got our things together and made sure we didn’t leave the painting behind and began to head back. 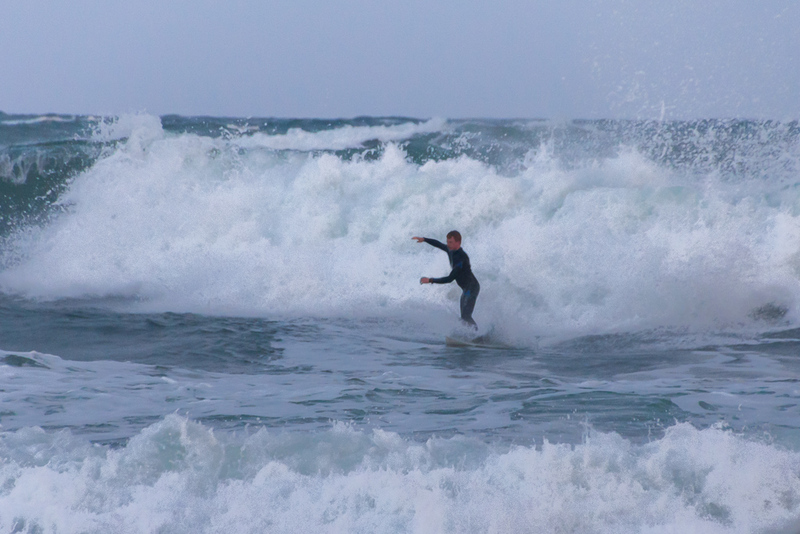 I spent some more time trying to capture the surfers actually standing on their boards, but it was a lost cause. 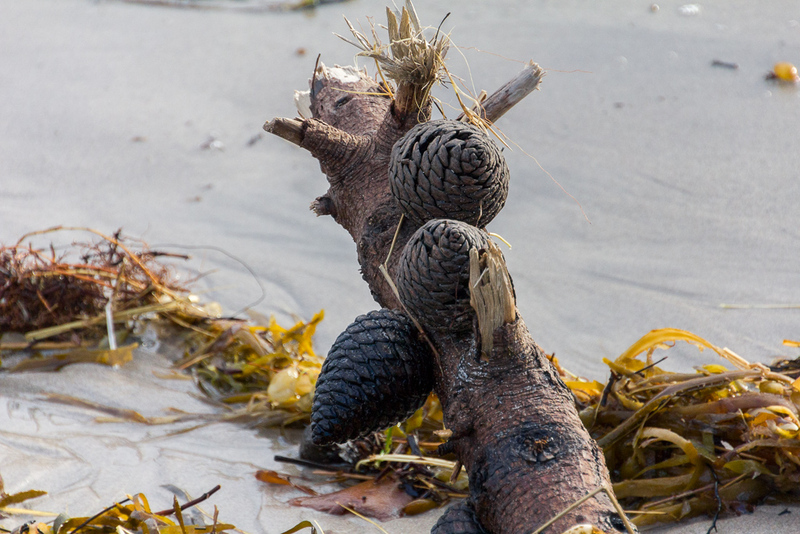 We stumbled back along the wet rocks and I kept my eyes peeled for some sort of flotsam that might be newsworthy. What I was amazed at though was the amount of plastic bottle caps lying around and it does drive me mental. There were literally hundreds of them and it’s shocking how much crap ends up in our oceans. Stranger still, Melbourne has amazing tap water compared to many places I’ve been to overseas and a market actually exists here for bottled water. It’s one of the dumbest things I can think of when I consider buying a litre of water is actually dearer than buying a litre of petrol. The beautiful tap water we have here is free you bloody idiots! I remember the tap water when I lived in Eastbourne, England years ago. There was so much chalk in it, you felt like it needed chewing. It seems people here don’t realise how lucky they are regarding this sort of basic stuff. Oh well, all I can say is it’s bizarre and by the way you tools, have you ever heard of a rubbish bin? 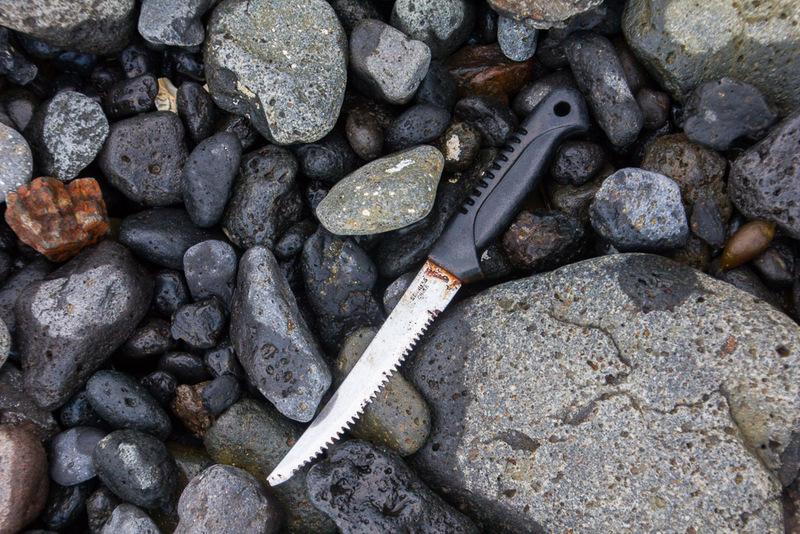 Anyway, one of the more interesting pieces we found was this knife lying amongst the rocks. It was either from an absent minded fisherman or from the little known Flinders Beach Slasher. I’m not sure which one, so I decided to keep it in case it did belong to the slasher, as one day I may be able to make a buck out of it on eBay. At this stage we were well and truly making a beeline for the car with the odd photo stop along the way. Ben was getting a little funky with his photo taking and took a couple of decades to snap a few foamy pictures on the way back. 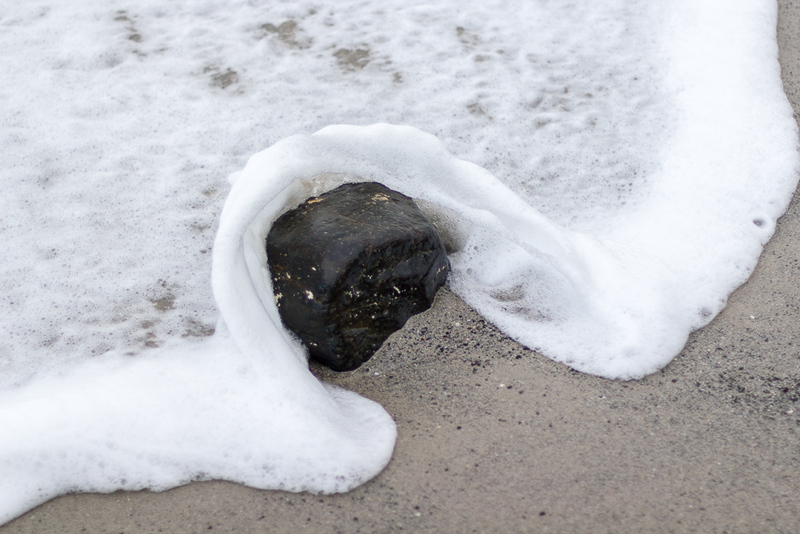 I think he nailed the pebble picture just right, before water swept over it. It wasn’t long before we reached the car, In our debrief we’d decided it had been quite an enjoyable short walk of only a few kilometres. Our intentions were to go further, but the high tide blocked our way and I didn’t want to run the risk of getting the painting damp. There’s not much more to say, other than hiking with some art is quite an enjoyable experience and everyone should give it a go at least once. The final mention of Jacquelyn Stephens is her other paintings are advertised for sale on Etsy. That’s about it and oh yeah, by the way, there are no kickbacks coming my way from any of this and I wasn’t even asked to provide this artistic plug. 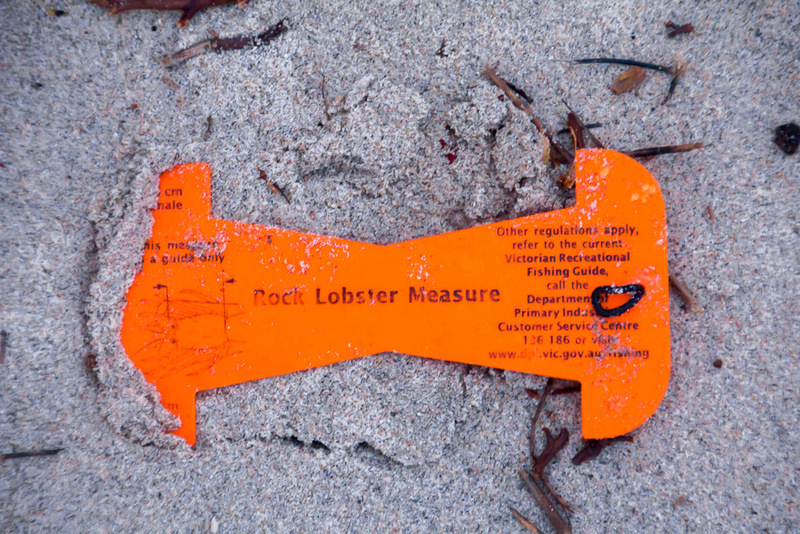 The last notable piece of flotsam before getting in the car was a ‘Rock Lobster Measure’ lying in the sand. Who wouldn’t want such a thing? 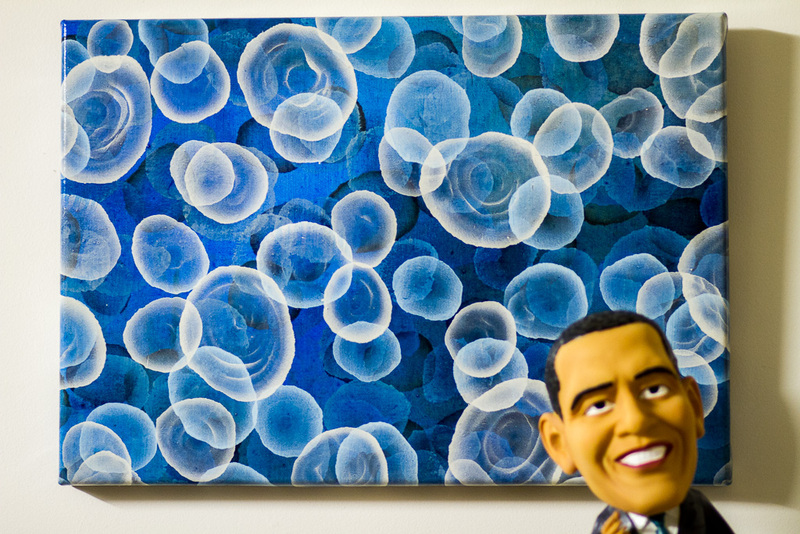 On a final note, all I can say is that even Obama likes the painting. 1. I like the picture, and hiking with abstract art is genius. 2. Blue is my favourite too. I always wear it hiking. My favourite shade though, is "Cornflower Blue" I think. 3. Would you believe that Wikipedia even has an entry on it? "Light cornflower blue is the color called cornflower in Crayola crayons." Maybe I ate too many as a child. 4. Yeah, staying indoors 'cause it's not sunny outside is lame. If everyone did that, the Brits would never have become famous ramblers; they'd only be out about three times a year. One weekend when I was living in Japan, everyone was hiding indoors as a typhoon was coming. The Japanese are terrified of dying if it's not sunny and around 25C outside. My reaction: load up the backpack and go hiking in the mountains. It was MY WEEKEND. In three years I never stayed home on my weekend. (I was miserable but at least I was outdoors). 5. Every time I do beach walking I'm revolted by all the plastic. The GOW was pretty good – not too much, but lots of wood from (I guess) container ships, and some big plastic net floats. 6. The pebble shot is awesome. 7. 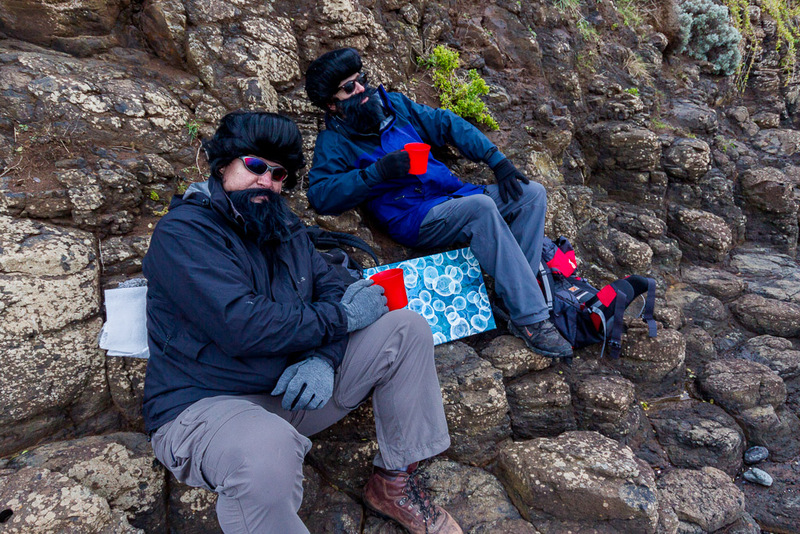 The beards look like excellent balaclavas for such conditions. 8. If you're going to throw that morphine away, I'll have to send you a stamped, self-addressed envelope. Thanks for the expansive reply which I will somehow tackle without too much waffle! 1. Thanks for the hiking/abstract good word. Forget UL now and again and take something we really like for a walk. Maybe a little awkward on the South Coast Track, but art is acceptable at the local beach I think. 2. I just checked out your blue link. That's a handy link actually and it's a nice choice you've made. Pretty close to 'Bleu de France'? Then again it could be my computer screen stuffing up the colour shade! I always liked those old colour scenes of someone like Stirling Moss strutting around in powder blue overalls. There should be more of it! 3. I think you snagged a pretty good association with Vermeer regarding your colour! I might have to do some more powder blue research, but the only bloke off the top of my head who I've seen in a powder blue outfit is Hermann Goering. A pretty lousy comparison with Vermeer I think and I'm now officially struggling. 5. I know where you're coming from. It's astonishing how much ends up in our waterways. Why are people so stupid to not use a bin? How difficult a concept is it to dispose of rubbish correctly? Yeah, I noticed on the GOW beach section before Aire River there was a lot of fishing gear washed in. I couldn't believe it and I think I might have some photos from my first hike along there which I might have to drag out. It was net crazy. 6. Ben does get a few nice photos going on and in an immature way I get frustrated when he takes better pictures than me! 7. 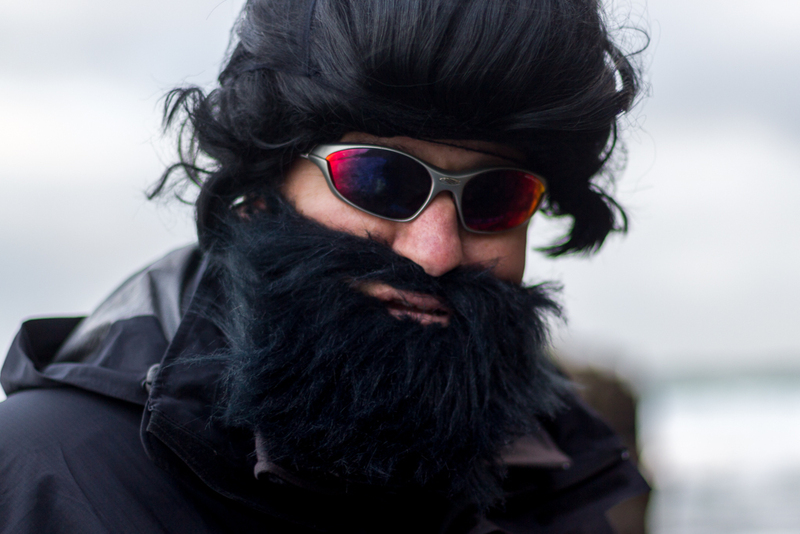 Beards were good, but where's the love for the Elvis wig? They were actually perfect cold weather gear as I've never had so much hair on my head in my life! 8. What's silly about the morphine is it's packaged as 'OxyNorm' which I always read as oxymoron. It sort of sums up the pill I think. Now it's my turn to wonder how you sucked me into the longest blog reply in the history of mankind, but on an official note I do thank you for spending some time to put it together! Hi Greg, thanks for the mention in the last blog. Have been enjoying your posts and comments. Love your choice of artwork. We are lucky to have some accomplished artists in our group and we have an art show, usually held in the drying room of the lodge, on our Apline 'camp'. 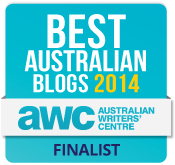 It is good to see some more local blogs. I also enjoyed a walk in the rain today. Keep enjoying the bikes and watching France go. Thanks for dropping in WV! It's great getting to meet local artists. It must be such a hard way to try and get exposure of something that the person may have spent many hours to create. No problems mentioning your blog as I hope to spread the word of some local blogs as there doesn't seem to be many around! Great blog entry. That bearded look was pretty popular in Flinders around 1975 when moustaches were having their revival. For some reason some of the surfers took to lots of hair with great enthusiasm. Wish I had a pic of my brother in law at the time. I see it is a cracker of a look for you guys too. Thanks so much for giving my art some extra air play. I am overly flattered and delightfully chuffed. PS I get a bit girl guide about the amount of plastic on our beaches and in our waterways and end up dragging a whole lot home. This can be a pretty stinky business now that National Parks are not supplying disposal bins at beaches, it all has to go in the car. Thanks for the comment Jacqui and thanks also for actually creating the painting 🙂 Yeah, Flinders Beach can seem just like another beach anywhere, but having been going there for 30 years it's quite special to me! Glad to help out as I love your art and it must be a struggle to get the exposure to try and show it to people.